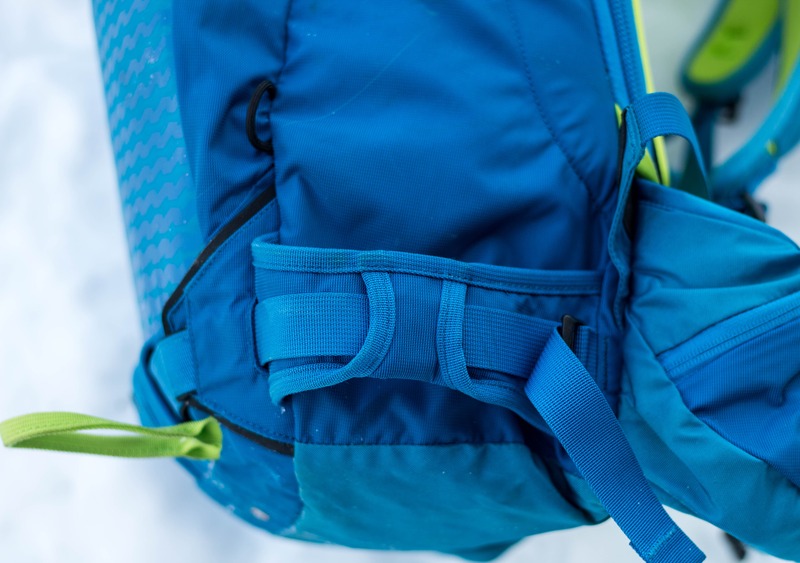 I’ve been testing Osprey’s Kamber 32 for over a year now on a variety of ski trips in all kinds of conditions over BC and Alberta and this well designed pack has proven to be a worthy companion. 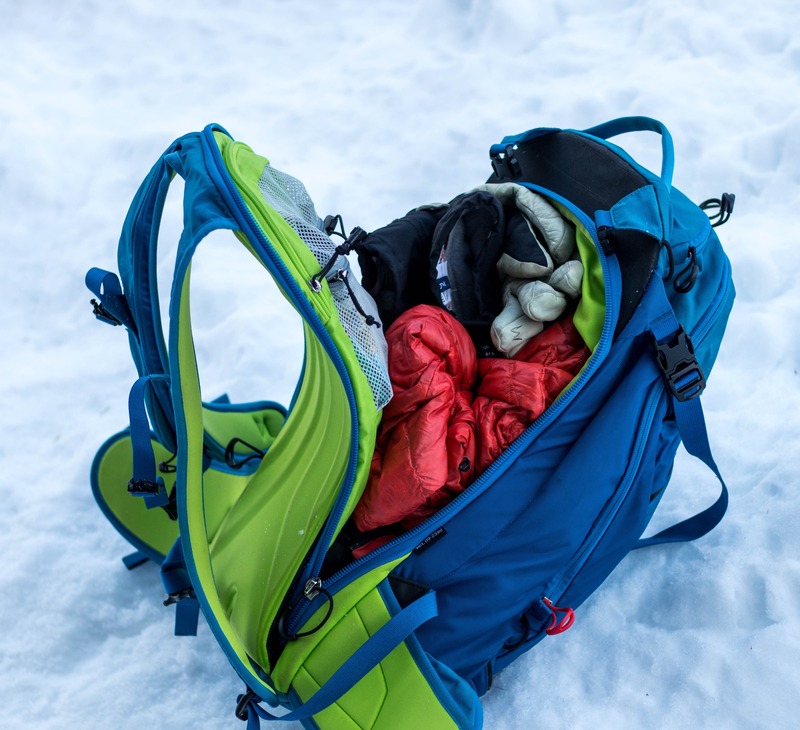 Well featured, durable and comfortable it quickly became my go-to ski touring pack. And like a lot of pieces that I really like, I found myself using it all the time leading to this long-term review. 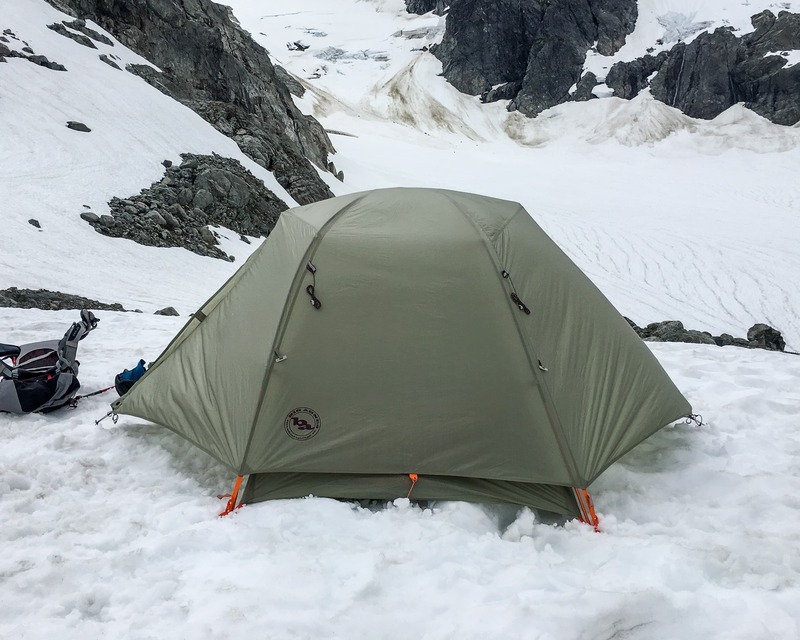 Testing the pack on a short bootpack near Blackcomb. 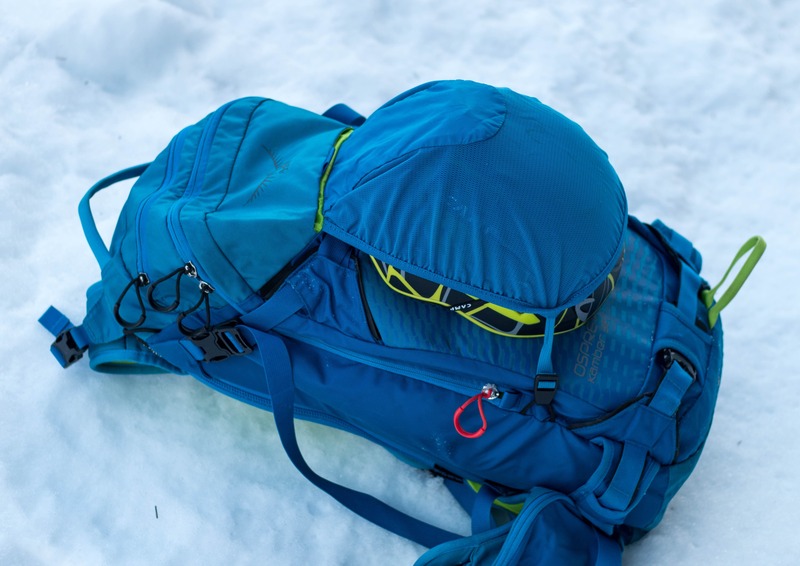 The Kamber (female version is called the Kestra) pack comes in 22L, 32L and 40L versions, this review will focus on the 32L option. 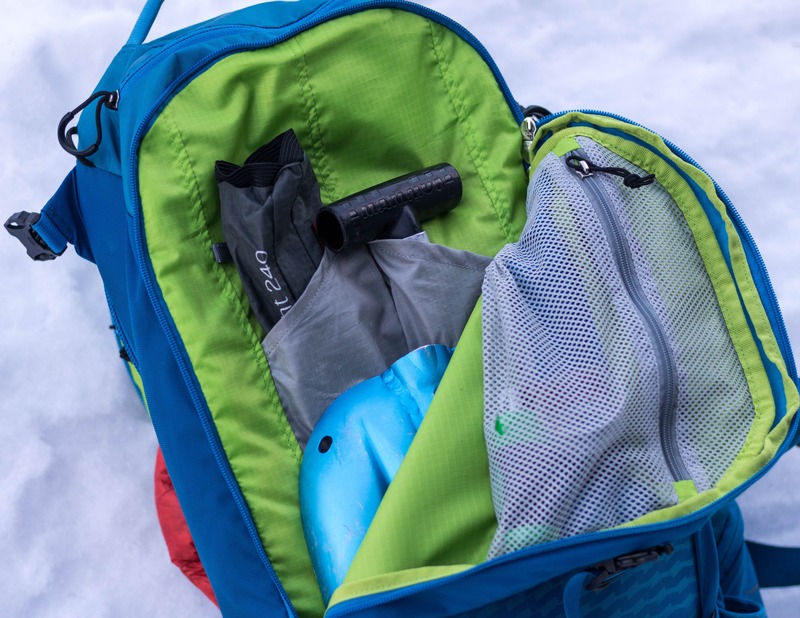 I find that packs in the 30 to 35L range ideal for day trips into the backcountry and the alpine. 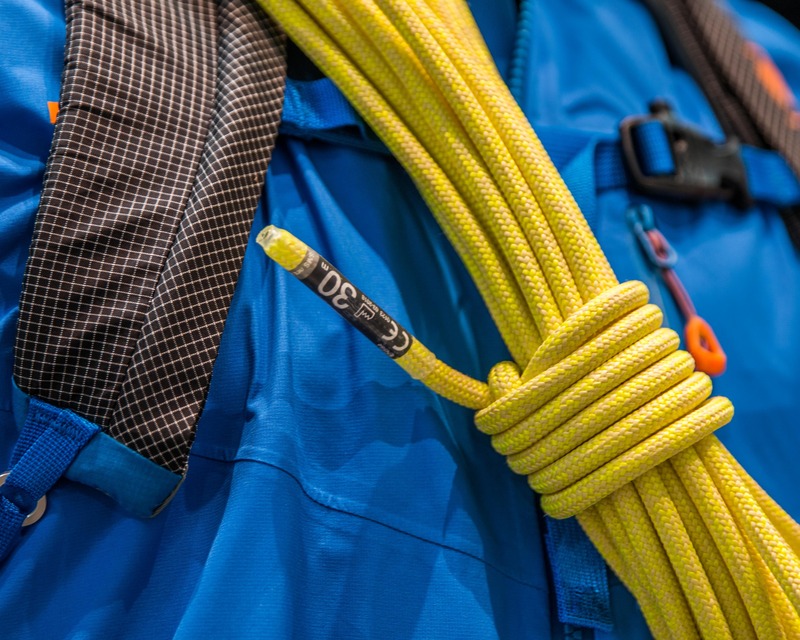 Big enough to take a little extra gear when it’s needed but still small enough to ski well. 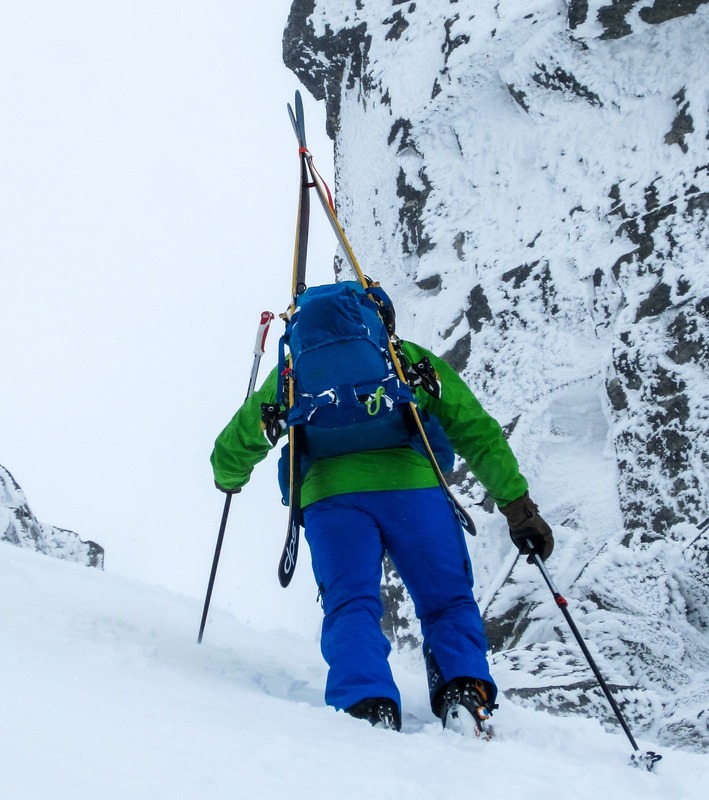 Osprey has limited the features on the Kamber 32 to the essentials for ski touring, keeping the weight down while giving the pack a sleek and simple look. But not to worry it still has all the key items needed for a day in the mountains. 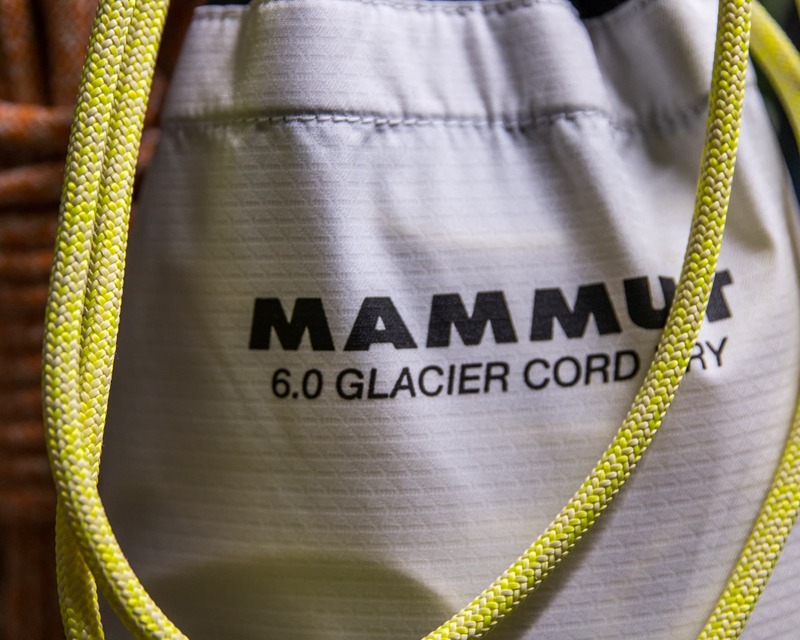 Reinforced lower A-Frame ski carry loops have a compression strap for a lower profile fit when the pack isn’t full. 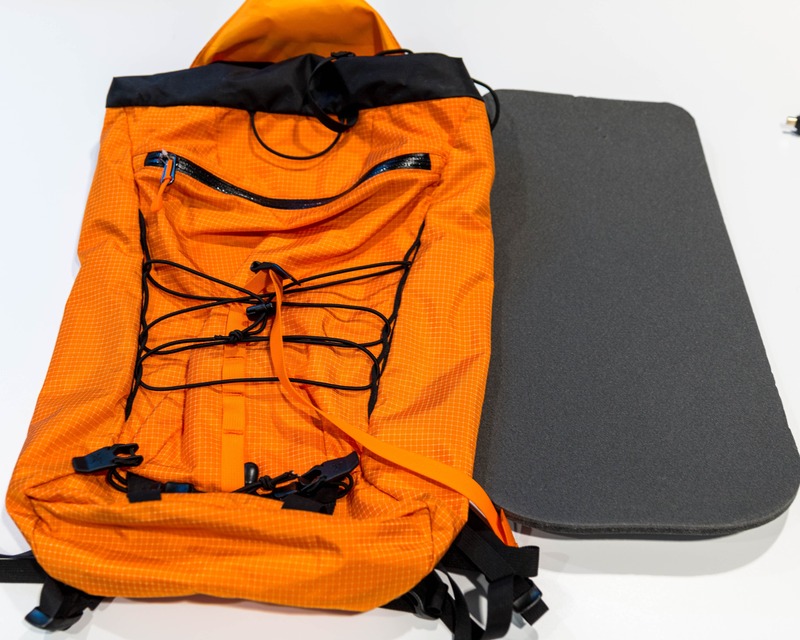 Access into the main compartment on this non-expandable pack is provided through the back panel. One of the main advantages of this style of access is that the back panel doesn’t get covered in snow and consequently get the wearers back wet. 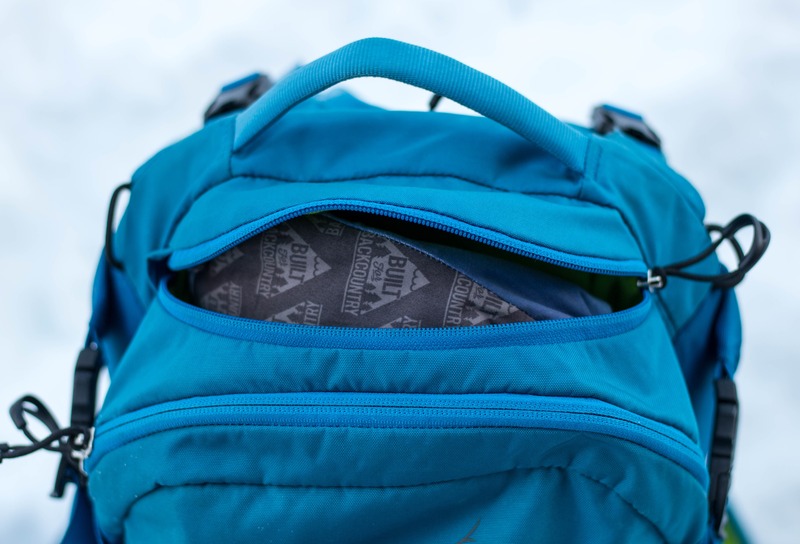 It also provides great access as the entire main compartment The main disadvantage is that it can be hard to completely fill / overstuff the pack. This is compounded by the fact that the pack feels tight for 32L. Main Compartment with the back-panel access open. The snowsafety kit compartment at the back of the pack is large and fits a shovel, probe, saw and skins without issue. 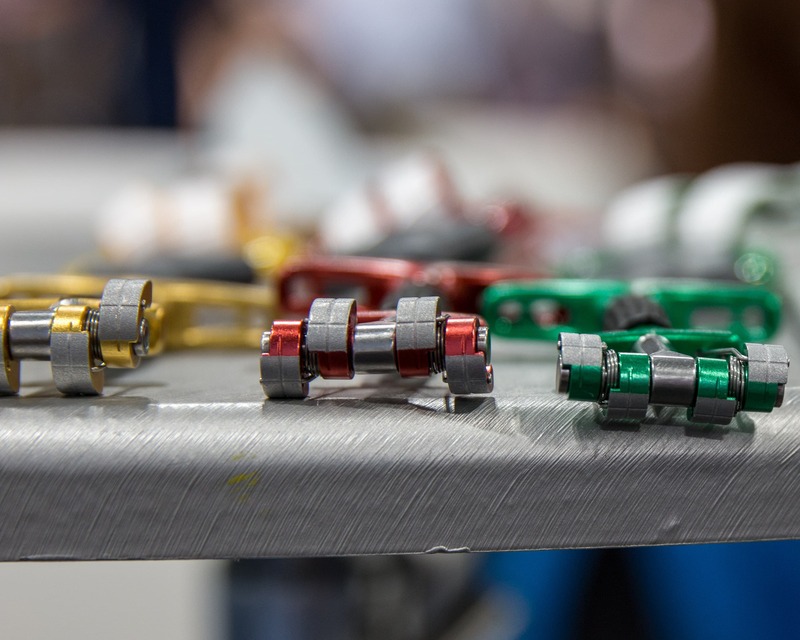 One of the large zipper pulls on the compartment are color coded red making it easy to find and operate with gloves on. 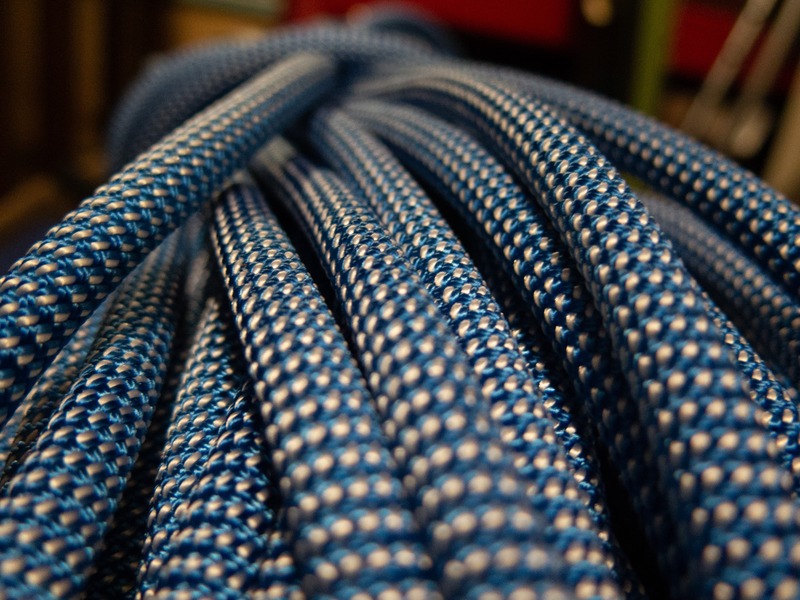 The zipper pulls are large and easy to use while wearing gloves. 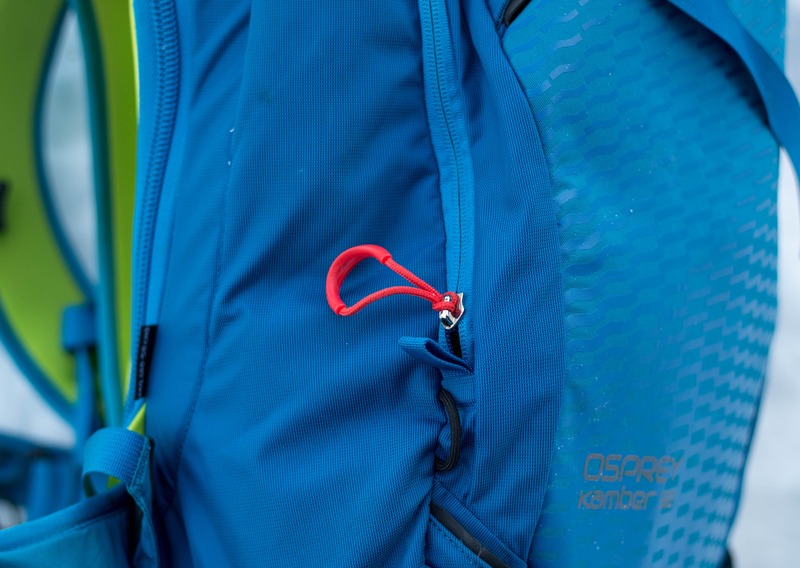 This red zipper pull is one of three that access the avalanche pocket, the other two are black for some reason. 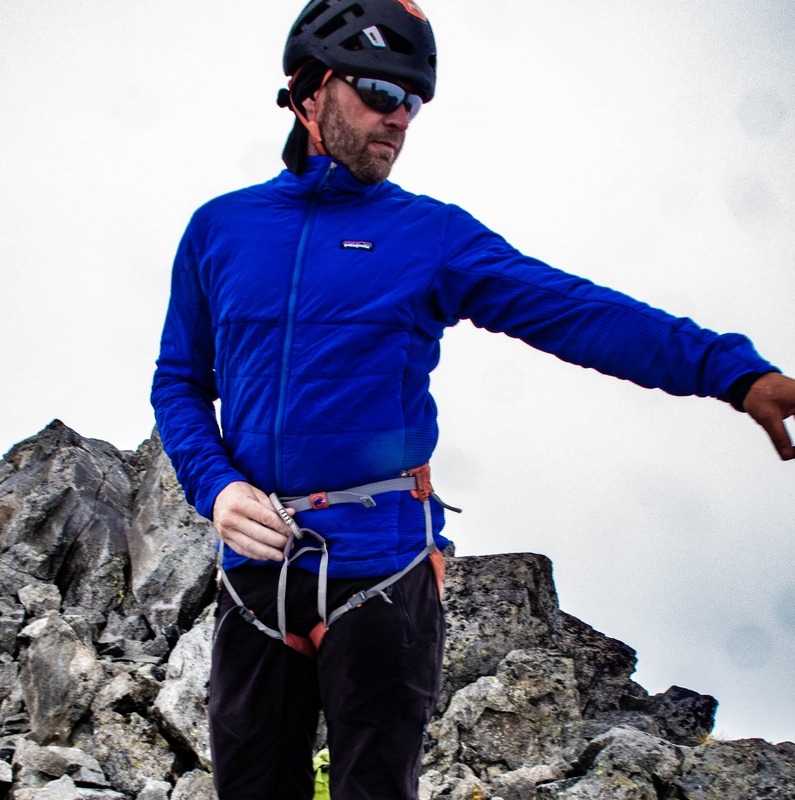 The Kamber has a very functional assortment of pockets. 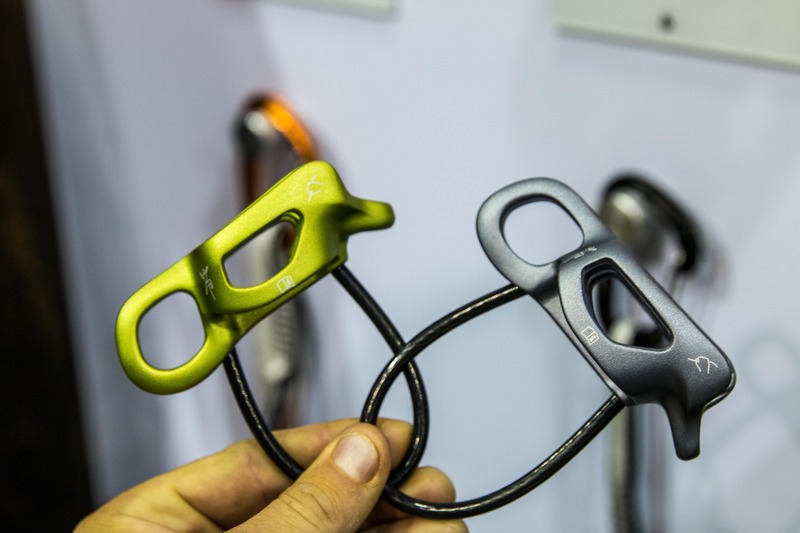 A goggle pocket is located on the top of the pack and accessed through an external zipper. There’s also 2 small accessory pockets. 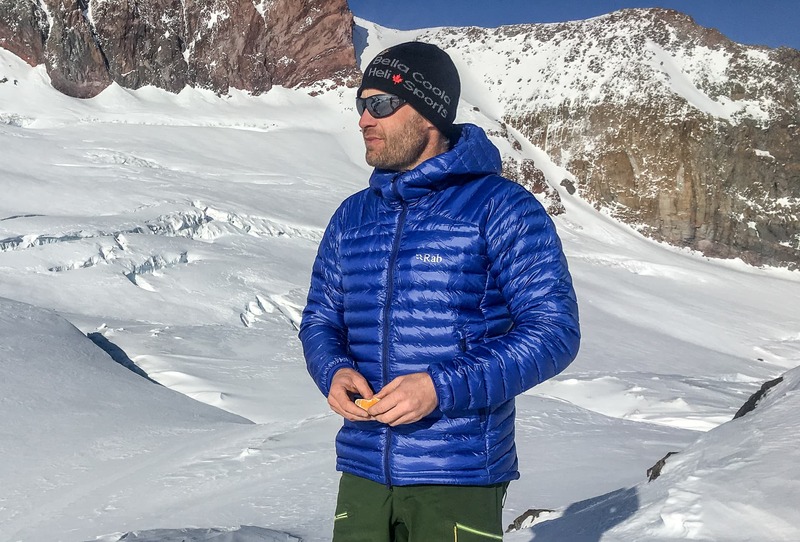 One’s found in the snowsafety equipment area and is great for wet or frequently accessed kit like snow-study gear (thermometer, ruler, etc. ), a scraper for removing frost from ski bases (I typically use a hotel key card as they’re free and light), screwdriver, etc. 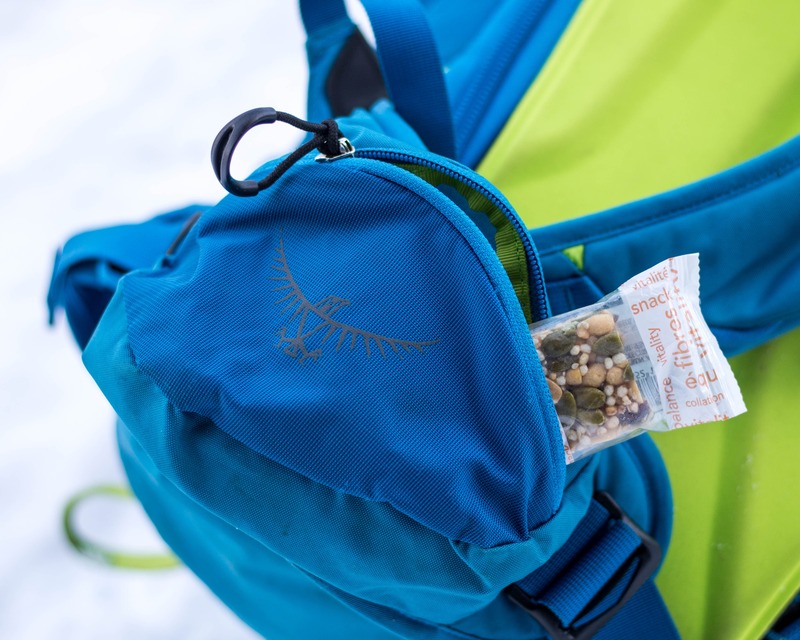 There’s also a small pocket attached to the backpanel in the main compartment that’s great for organizing other small items of kit such as a headlamp, sunscreen, etc. 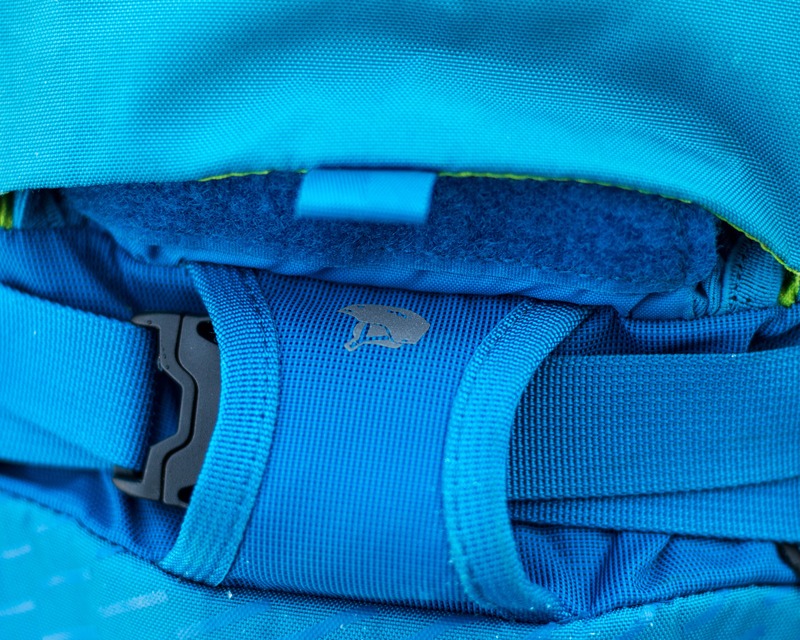 Large goggle pocket on the top of the pack. The belt has dual pockets for anything you want quick and easy access to while on the move such as some bars or a small camera. 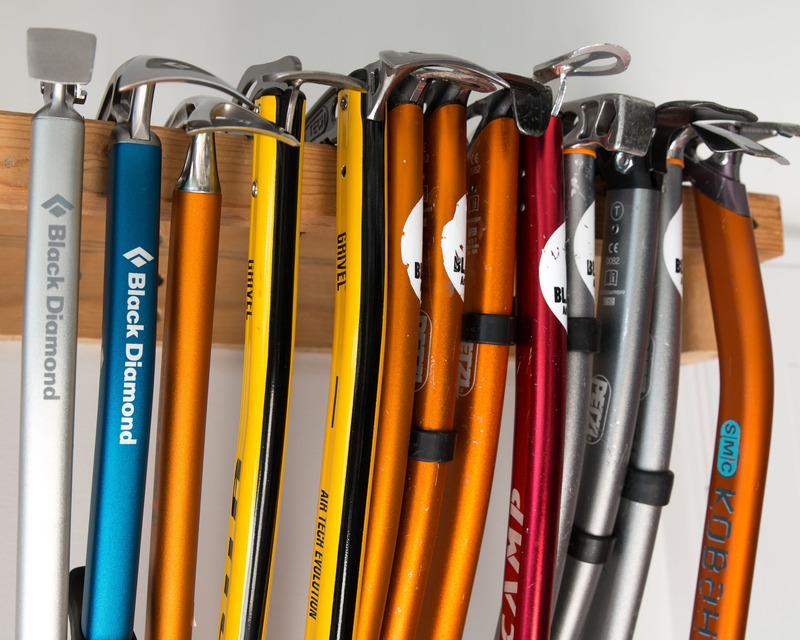 However the trade off is that it doesn’t leave room for ski mountaineering gear loops. Lastly, there’s a hydration sleeve along the back-panel if you’re into that type of thing, I not a big fan personally. 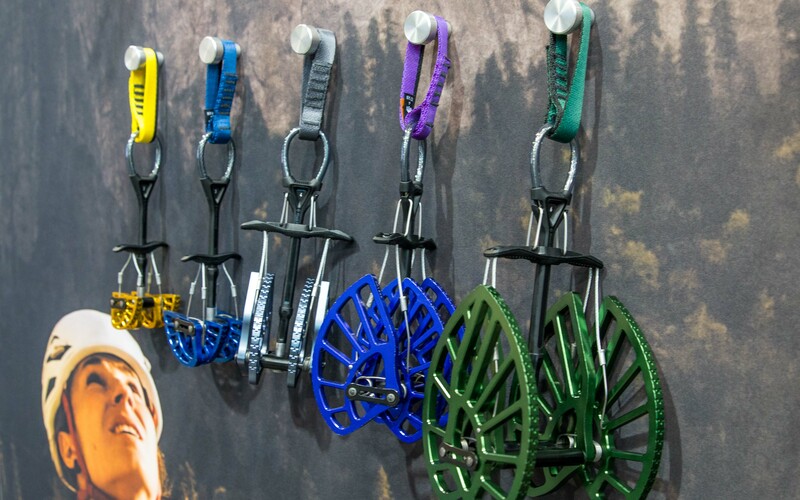 Osprey has included a very functional helmet attachment system with the Kamber 32. A small pocket near the top of the pack provides an out-of-the-way place for the bra when it’s not in use. When deployed two different helmet position options are available. The bra can be clipped over the top of the bag keeping a helmet high and out of the way if you want to sit on the pack for lunch. Alternatively, the bra can be clipped low over the back of pack reducing the overall height when thrashing through alder. 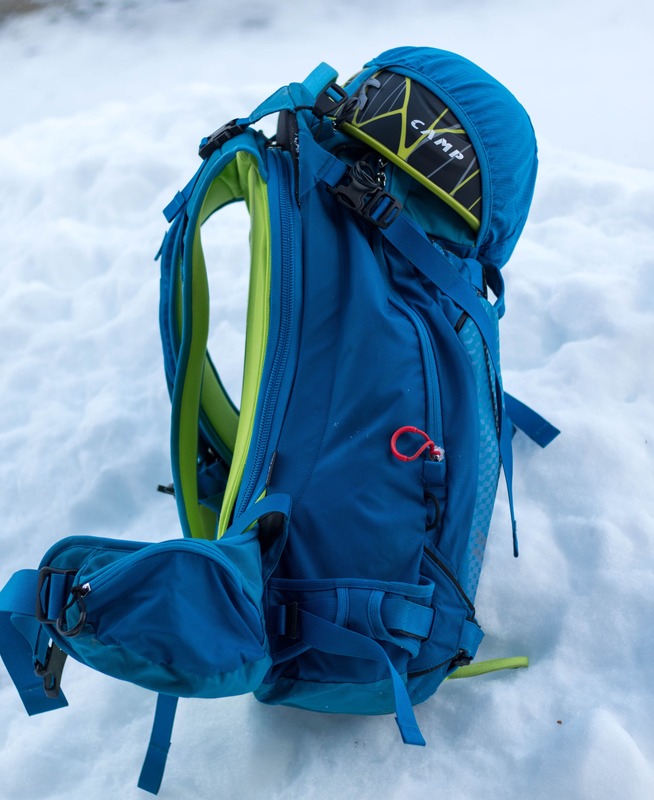 As can be expected from an Osprey pack the suspension system is comfortable and holds the pack firmly in place on both the up-track and when skiing down. The pack comes in S/M or M/L depending on torso length. 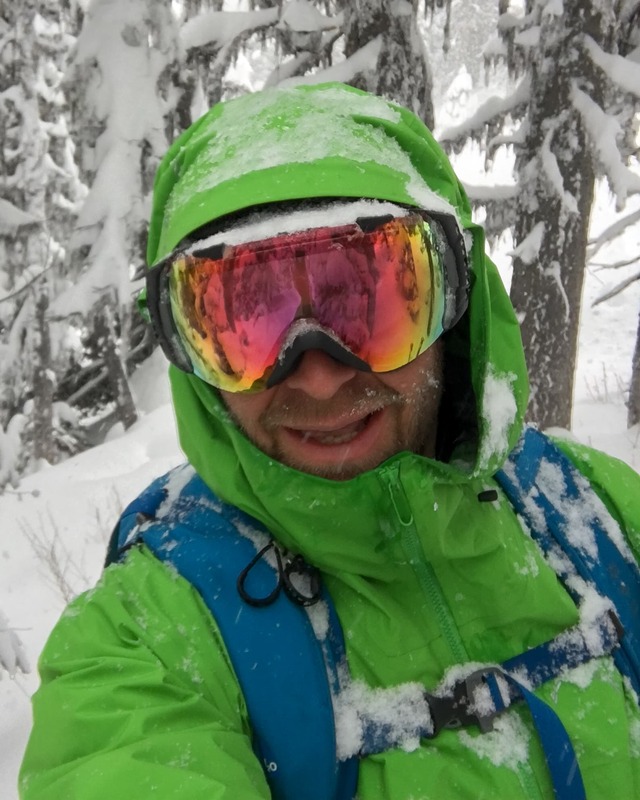 Testing out the Kamber in some deep pow. 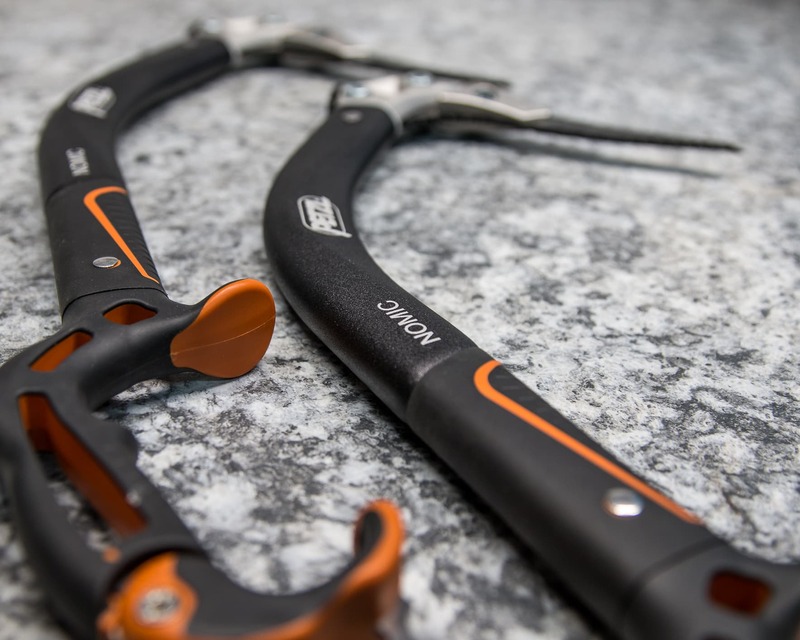 Overall: Well thought out and comfortable with all the features that I really look for in ski touring pack. 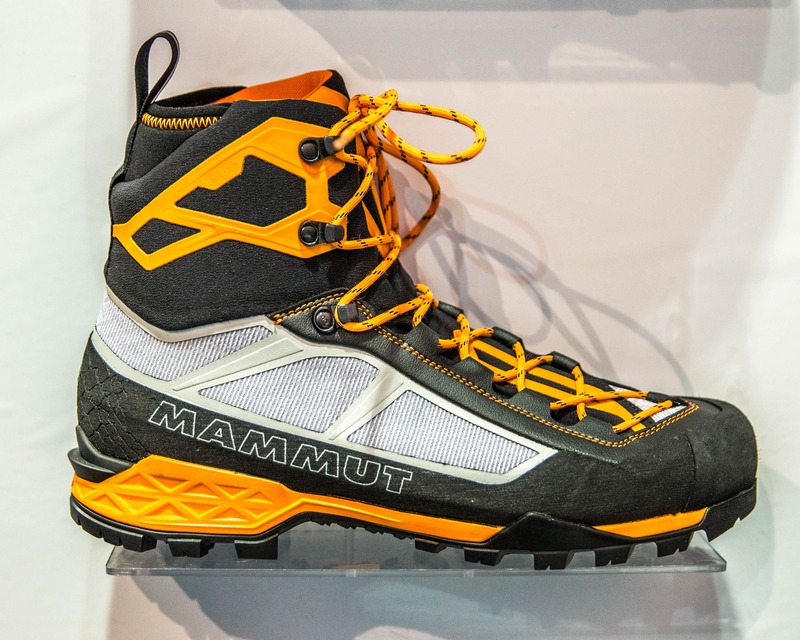 Ideal for day trips into the backcountry. 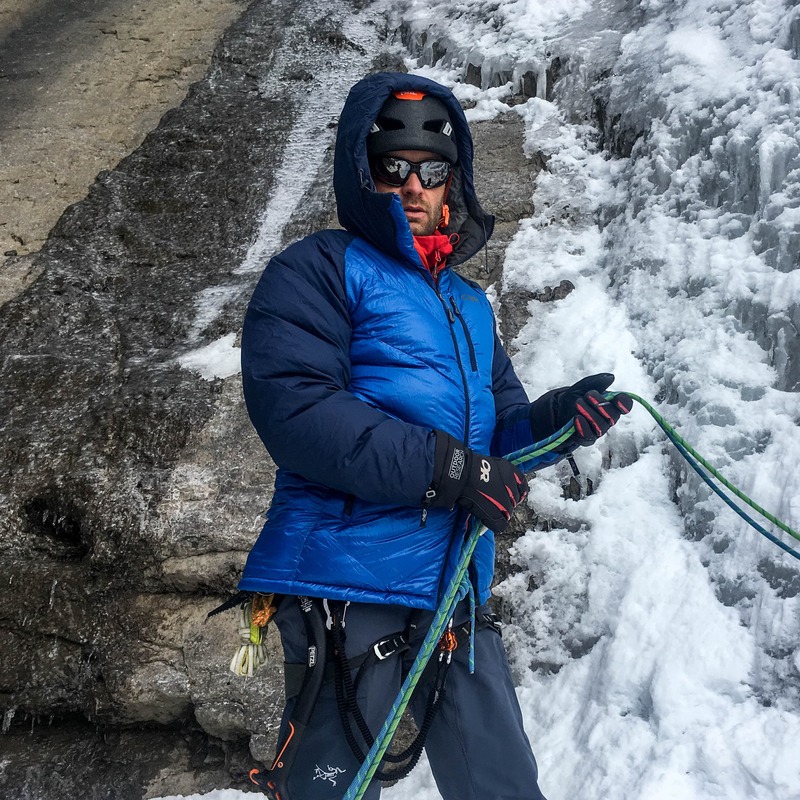 Previous Previous post: Presentation: So you want to be an ice climber?